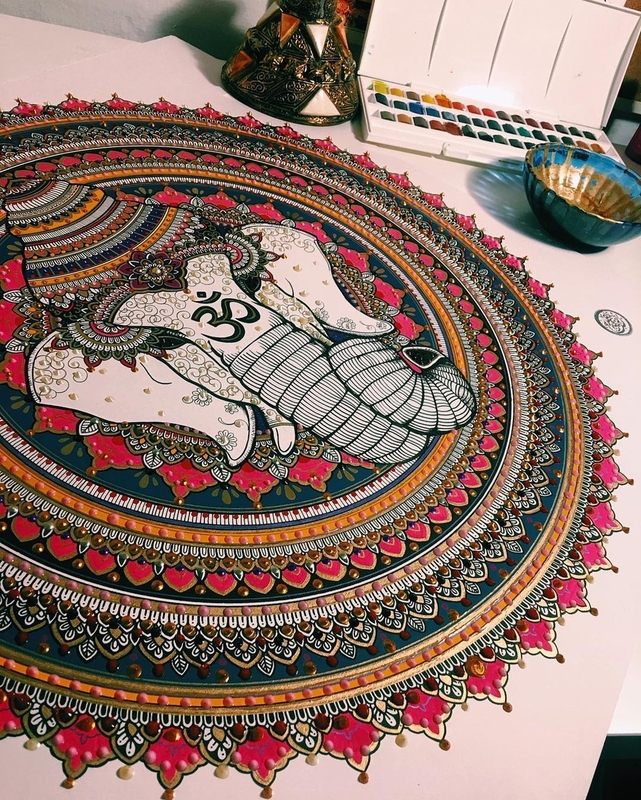 Soothing art that works, whether you are the creator or the viewer. 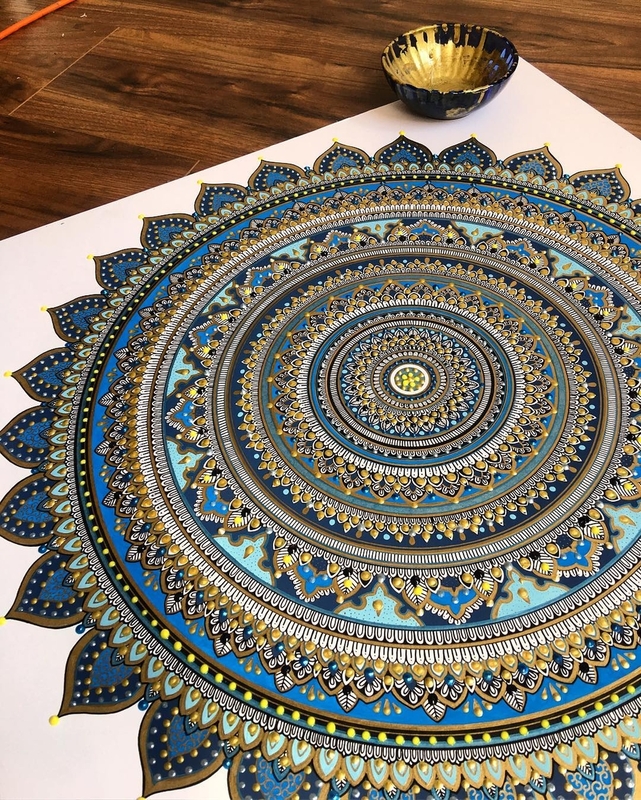 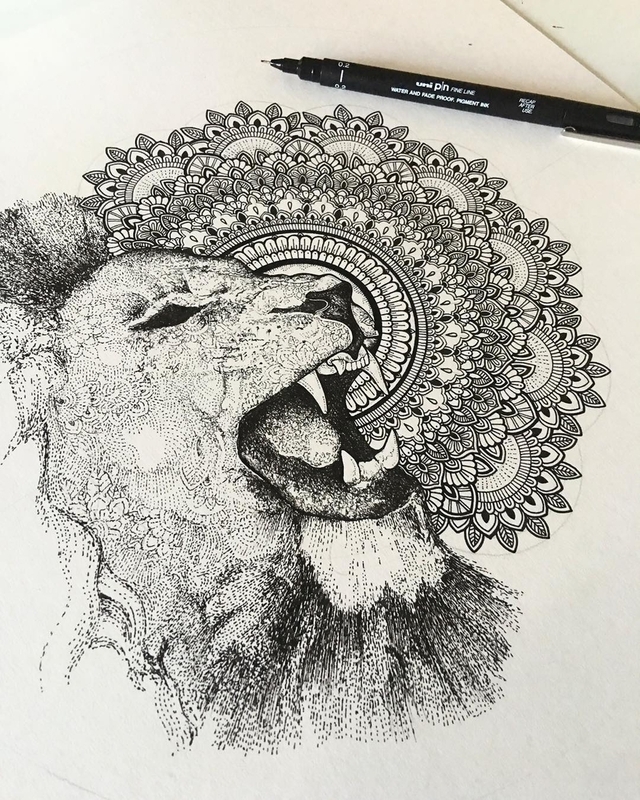 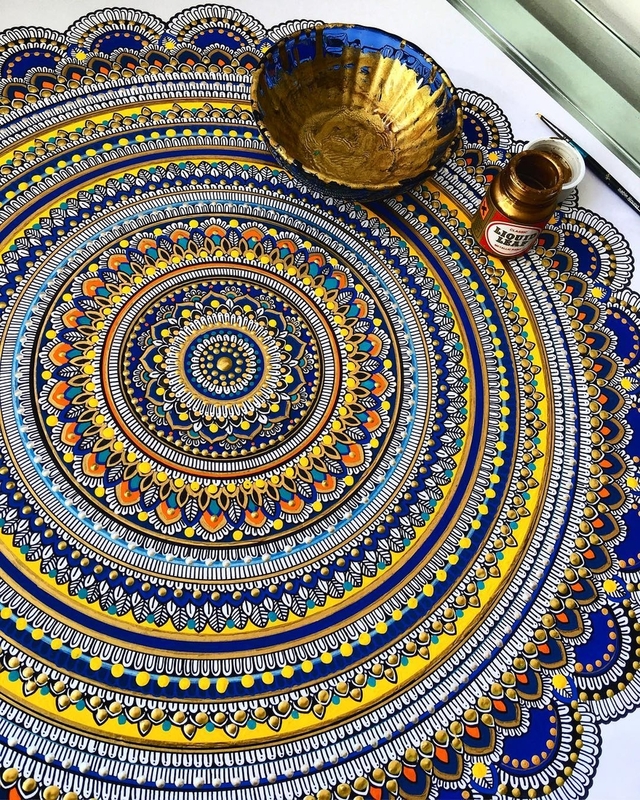 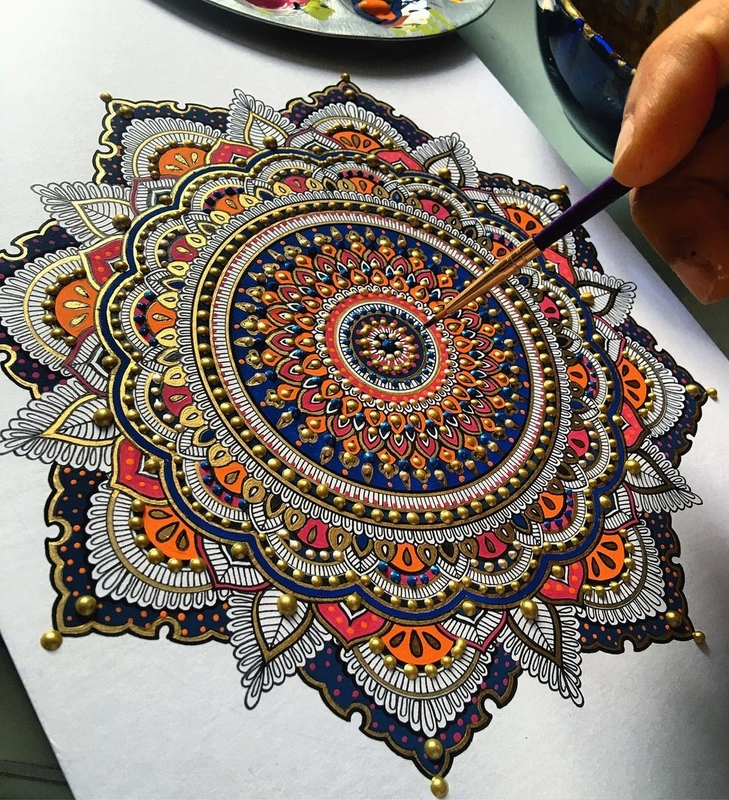 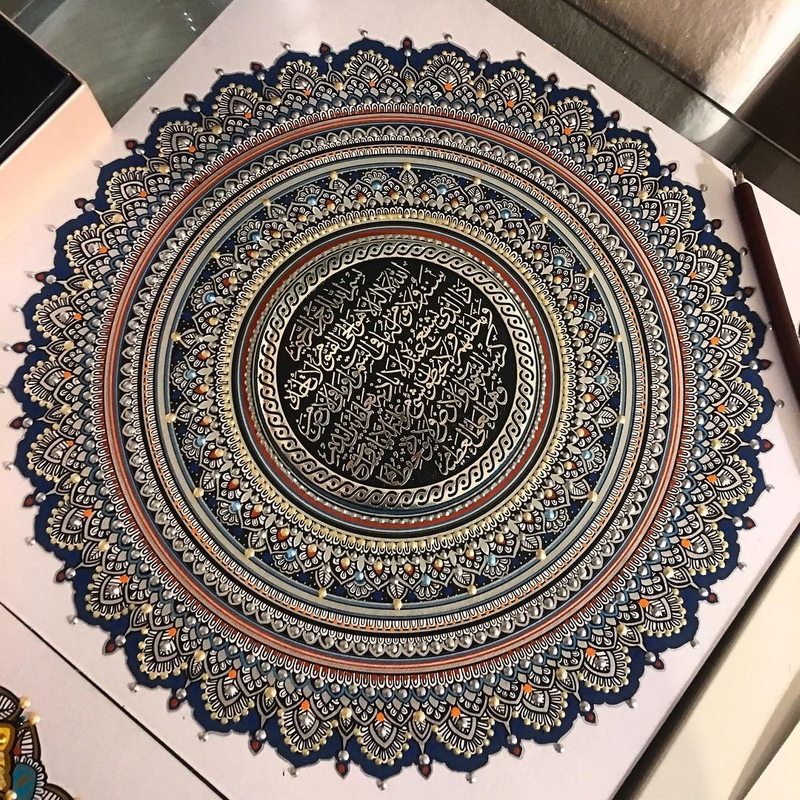 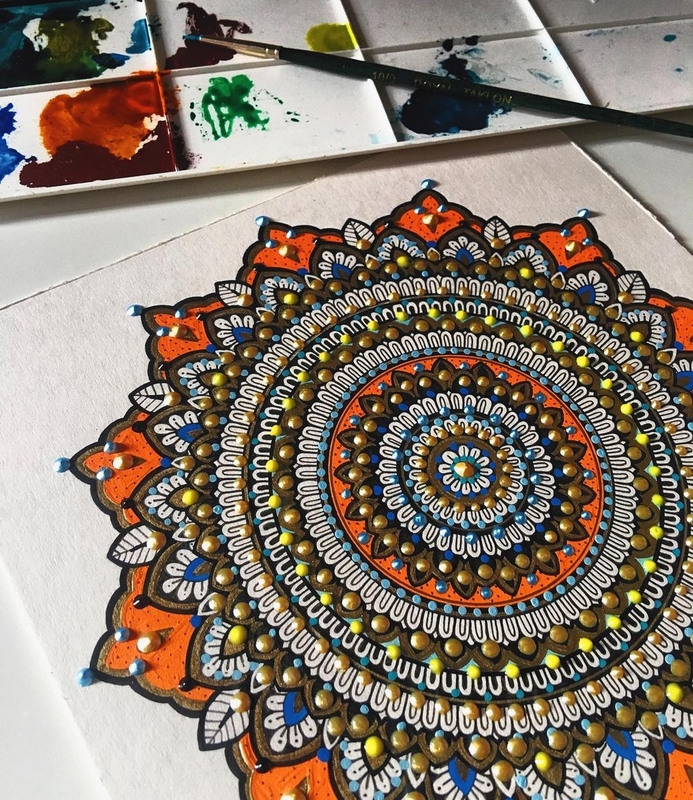 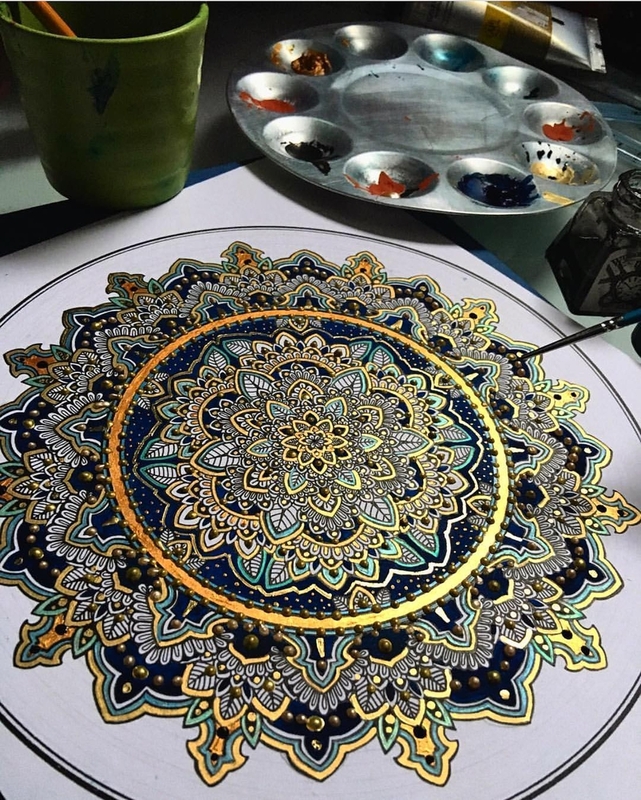 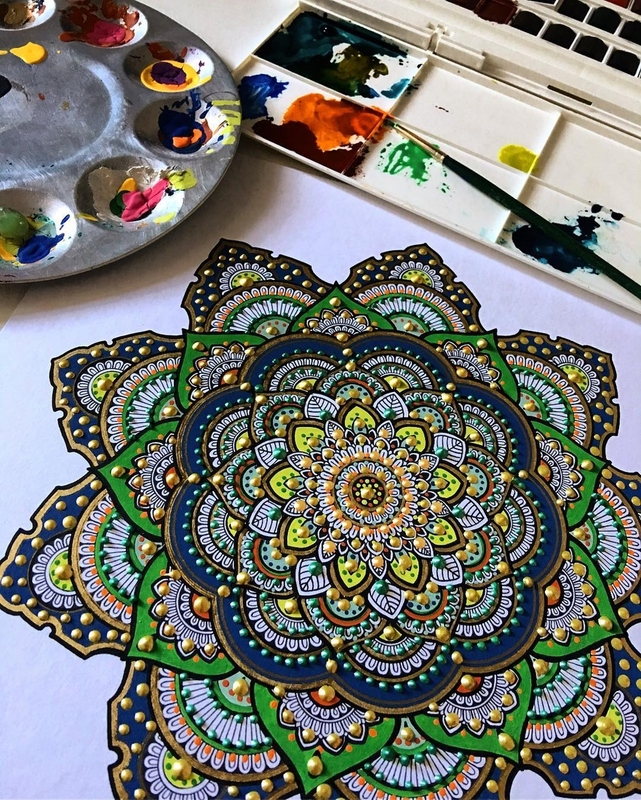 Artist, Illustrator and Business Woman Asmahan A. Mosleh, is the artist responsible for these fantastically beautiful Mandalas. 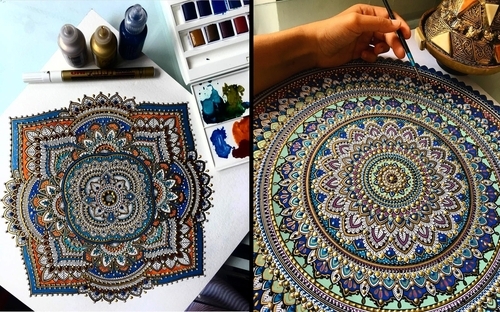 They are drawings, paintings or sand sculptures of geometric shapes, repeated around, what is usually a circular figure. 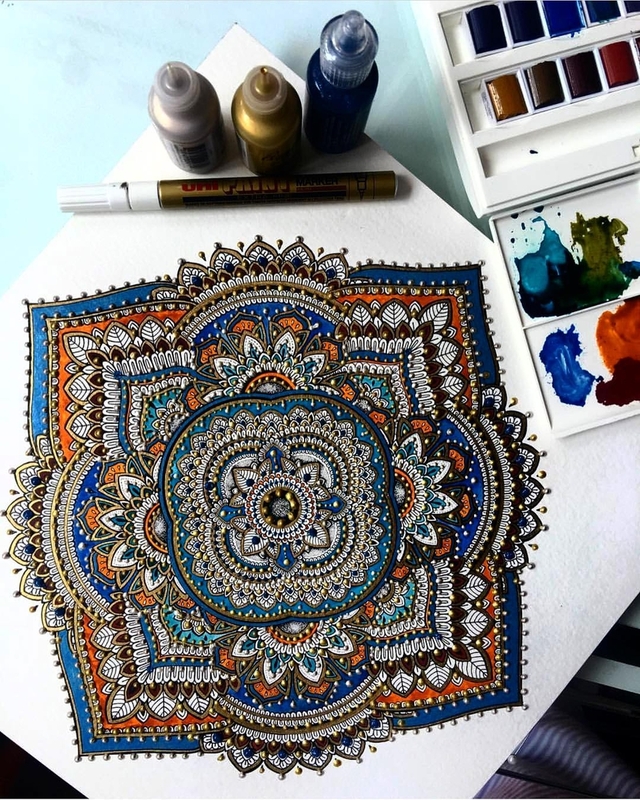 As you can see from the image above, you can make them into shapes, other than round. 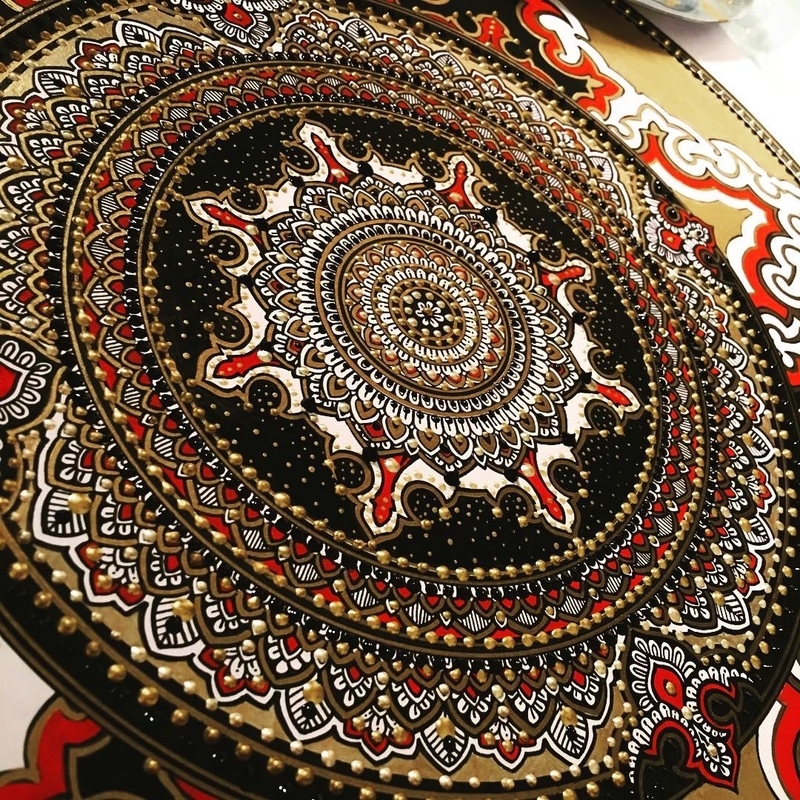 The detailing is a pleasure to look at, it pleases the part of our brains that feels at ease with precision, neatness and balance. 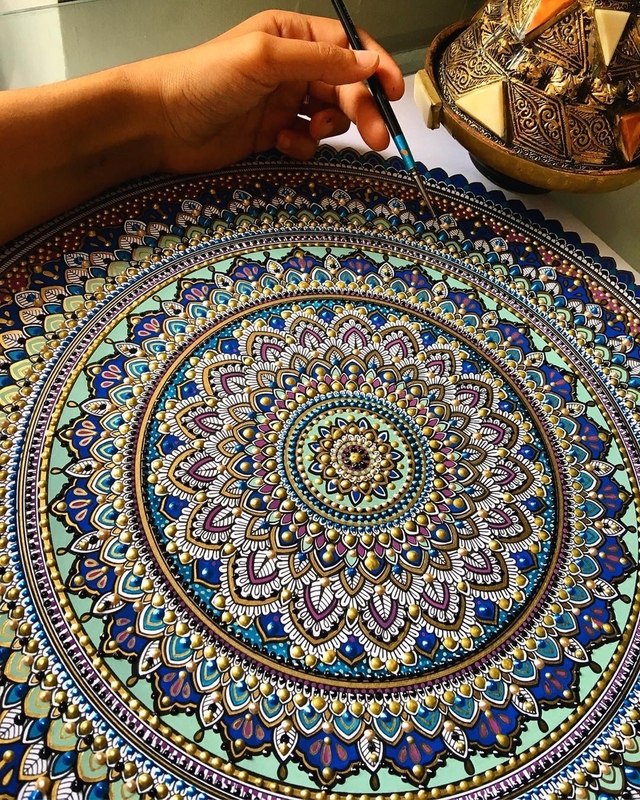 That said, these art piece require a lot of patience and and an artistic sense, to pick the design and colors that will enhance the overall piece + an average of 8 to 54 hours to complete.